I treated myself to a fresh Dungeness Crab for dinner the other evening. It was a really large crab, so I ended up with some delicious lump crab meat left over. Instead of making crab cakes, I decided to make a crab quesadilla. 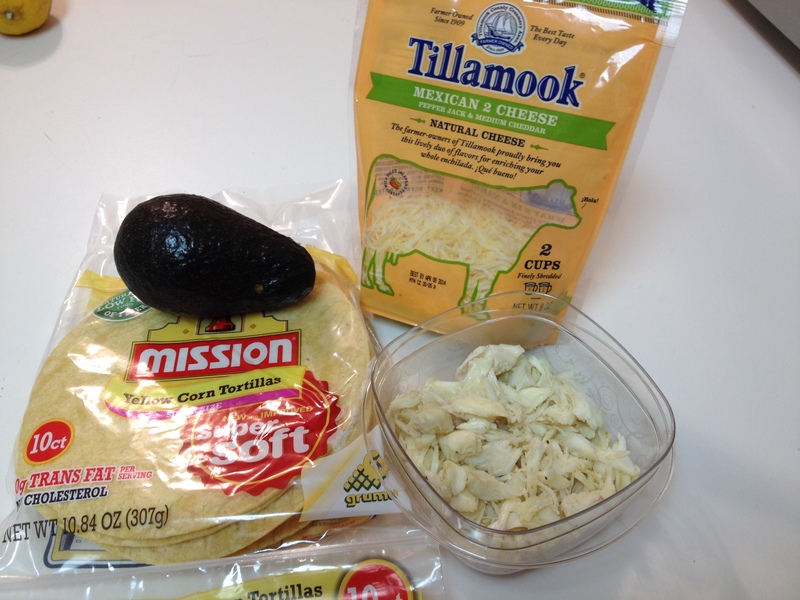 I mixed the lump crab meat with my favorite Mexican 2-cheese blend from Tillamook and added some chopped avocado. 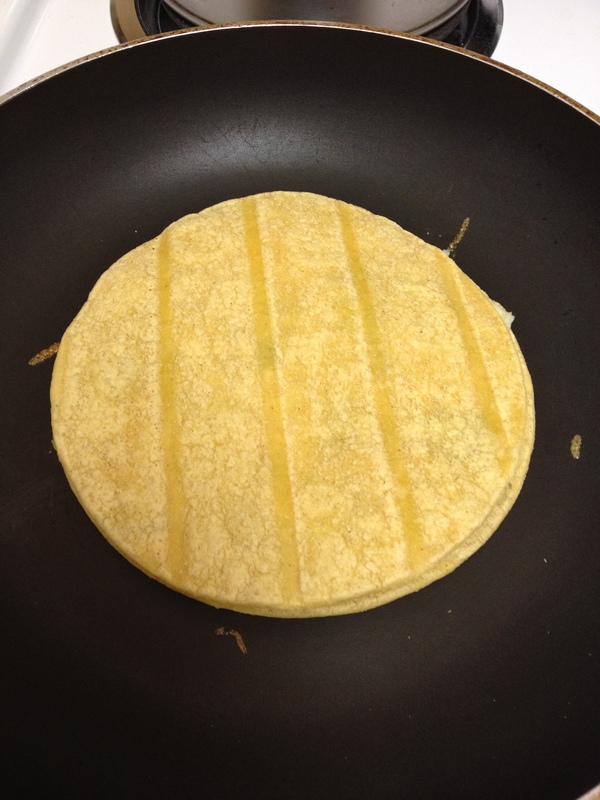 After heating the corn tortillas in a medium-hot pan, I added the crab mixture and topped with another tortilla. 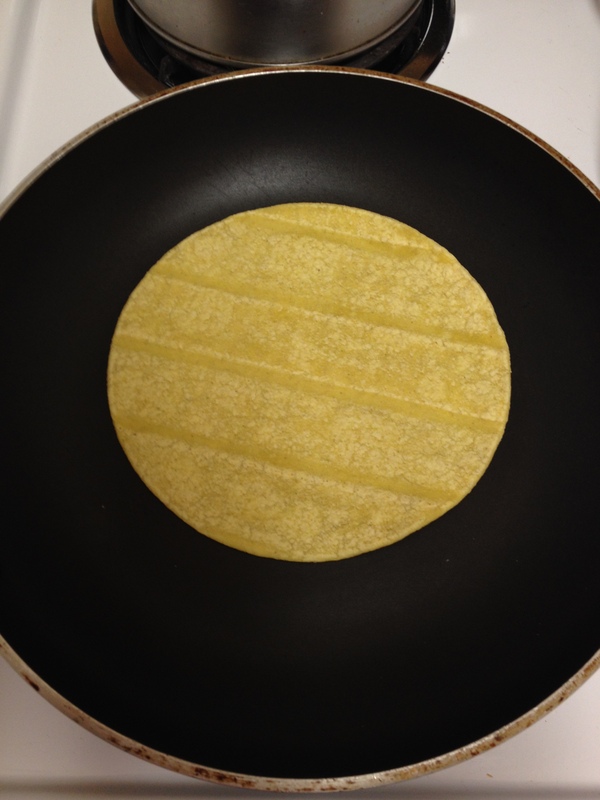 I flipped the quesadilla once to ensure the mixture was heated through and the cheese was melted. 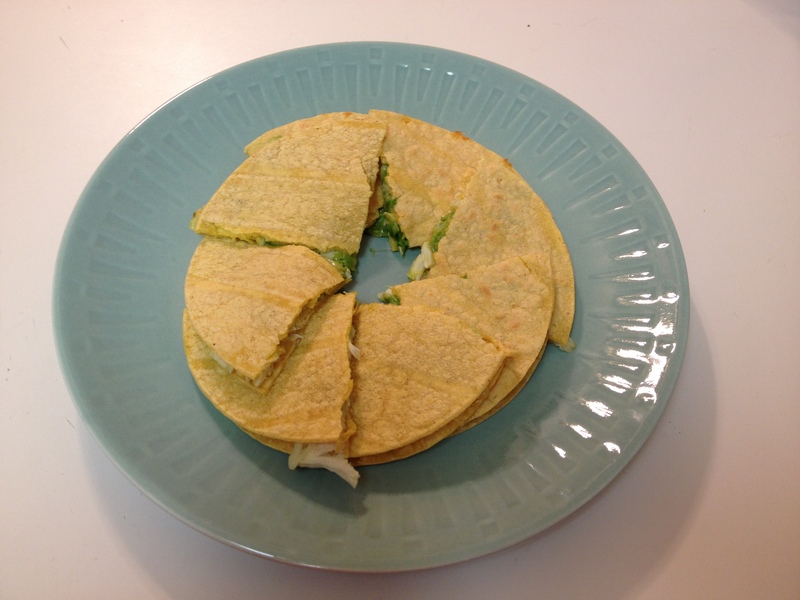 Placing the quesadilla onto a cutting board, I used a pizza cutter to slice it into quarters. 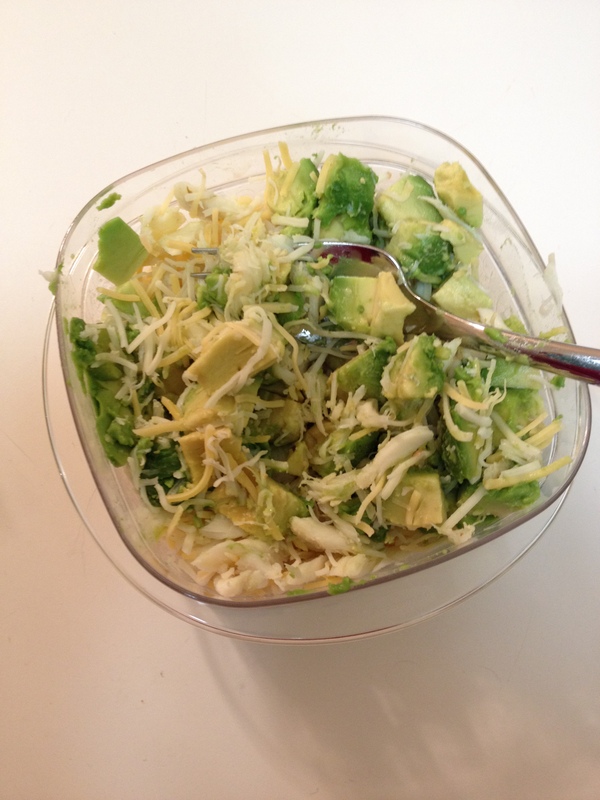 The punch of the cheese paired nicely with the sweet crab and avocado. Delicious! 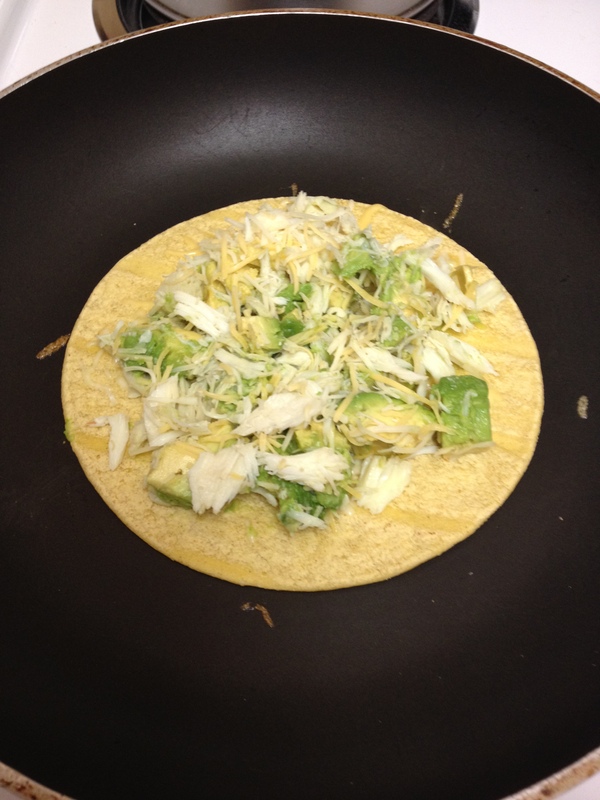 Posted in Culinary Explorations and tagged avocado, cheese, crab, crab quesadilla, Culinary Explorations, leftovers, recipe. Bookmark the permalink.